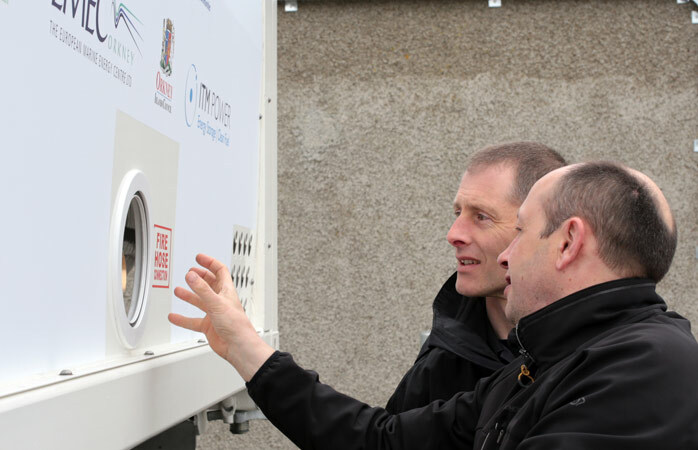 The Surf 'n' Turf project brought together emergency services and hydrogen engineers on May 9-10th as preparations continue on Eday and in Kirkwall. Community Energy Scotland's local team organised two days of briefings for the emergency services in both Kirkwall and Eday. The project team has engaged with civil contingencies staff at Orkney Islands Council since the very start – to ensure Police Scotland, Scottish Fire & Rescue Service, and HM Coastguard have opportunities to raise any issues. 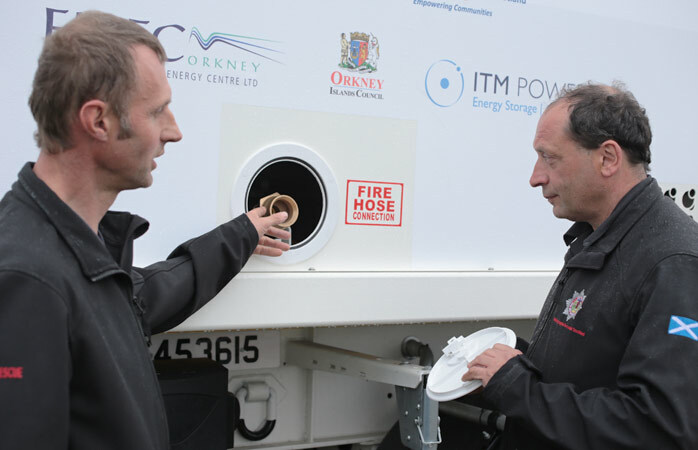 The project team was keen to show the kit to SFRS staff in Kirkwall and the retained crew in Eday, to reassure them the unit is no more hazardous than a vehicle carrying petrol or bottled gas, in fact in many ways far safer. Kate Townsend, one of four SFRS retained crew on Eday was glad that CES had involved them directly. Getting a chance to see the trailer and its safety systems, and to hear from the engineers who built it did, she said, "put my mind at rest as to what we're dealing with." 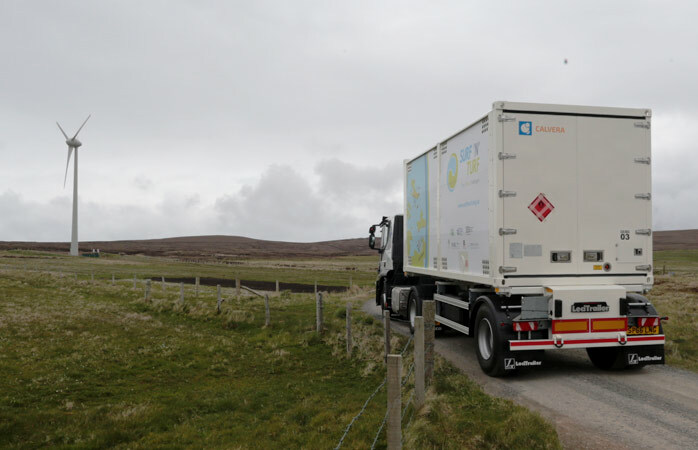 The truck complies with all UK and European criteria for transporting hydrogen gas and even has a built-in heat suppression system that goes above and beyond the regulations. To gain approval, the gas holder successfully withstood a 90º topple test and a simulated railway collision.